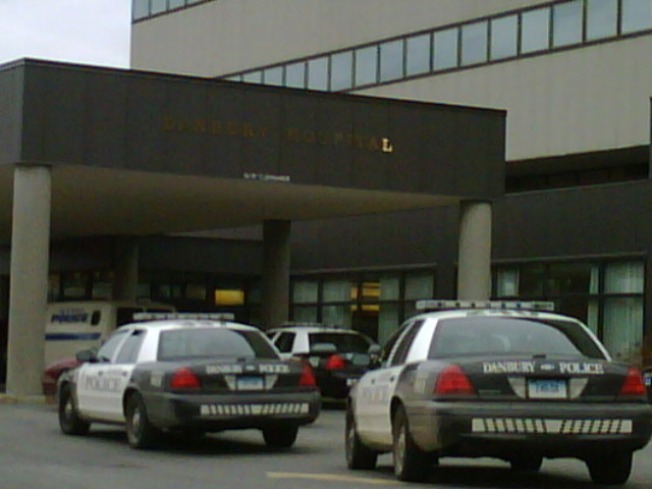 Police surrounded Danbury Hospital Tuesday after an elderly patient shot a nursing supervisor. Stanley Lupienski's neighbors at the Brooks Quarry Apartments in Brookfield are stunned. "I was kind of really shocked to hear.What's he doing with a gun? Where did he even get the gun? Did he have it here?" said neighbor Nancy Vasaturo. Danbury police say Lupienksi, 85, opened fire on the 8th floor of Danbury Hospital Monday afternoon. Nurse Andy Hull, 34, took three bullets trying to stop Lupienksi, who was also shot in the scuffle. Both remained in stable condition at the hospital Tuesday afternoon. Another neighbor, who wanted to remain anonymous, said Lupienksi was "a nice man, just quiet." But she had been worried about him. "His old girlfriend died about two years ago and I think he's troubled," the neighbor said. "He drives to her house all the time." Sources say the reason Stanley Lupienski was at Danbury Hospital was because of a crisis intervention call, meaning someone had alerted authorities because they were worried about his mental state. He was placed on the 8th floor, which houses the hospital's Heart and Vascular Center, because of health issues. "When the details of this case become public, I think people will see this was really something that was extraordinary and not something that would be ordinary business of the hospital," said Danbury Mayor Mark Boughton. Neither the hospital nor police are saying how or when Lupienski brought the gun into the hospital. The hospital is reviewing its response to the crisis.Mayor Boughton said that review will also examine if any security improvements are needed. "I think as we model the exact events of yesterday, we'll be able to make some tweaks and adjustments, particularly when we take in patients from out of this city that we may not know much about the individual," Mayor Boughton said. According to police, Lupienski will be arraigned on numerous charges, but no date has been set.